Malaga coast has many possibilities photographically speaking. 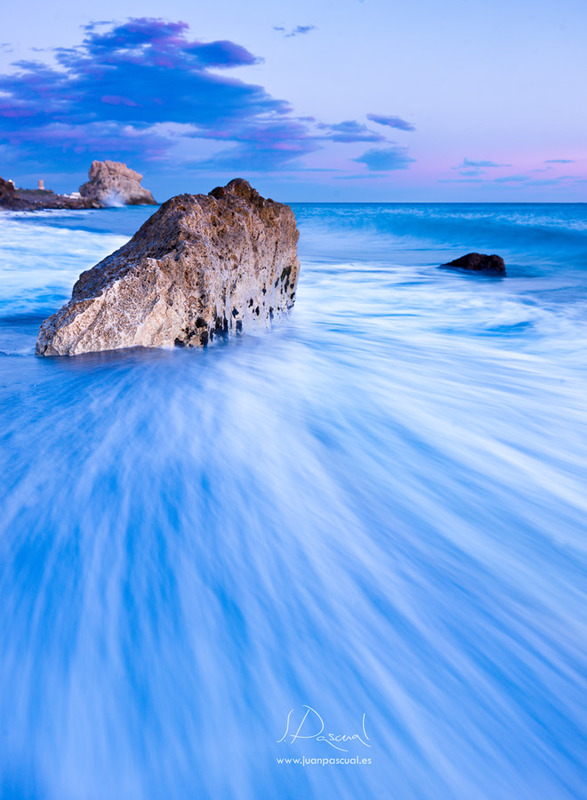 Some good beaches, cliffs and coves are spread over the more than one hundred kilometers of the coast of Malaga. MÃ¡laga Costa, vertical photograph of a sunset in Cala del Costa del Sol.